The 21st Century ‘American Way’ in The Man of Steel. In a 1992 interview with Jay Leno, Tim Burton was asked what fascinates him about Batman. 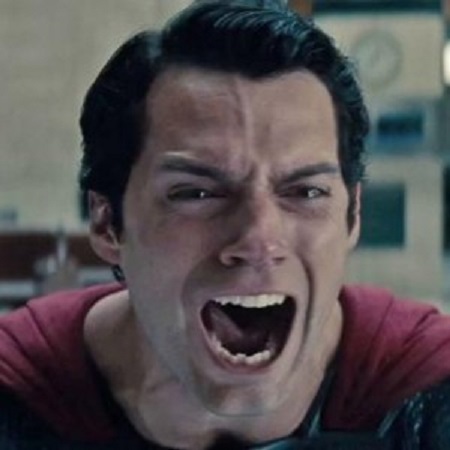 Burton said he connected with Batman’s mortality, and his natural human limits–Burton did not understand why Superman would not just “blow everyone away with his super-breath.” Goyer and Snyder seem to not only agree with this concern, but utilize it and actualize it in their narrative. Modern popular cinema, as many theorists and critics have pointed out, can give us a clear sense of our collective social and political barometers. In looking at the trailers for upcoming films, there seems to be a consistent visual—buildings tumbling down, bodies whizzing past the camera, and a post-apocalyptic nihilism. Trailers seem fairly interchangeable. Witness the aesthetic of World War Z and Elysium according to their respective teasers. Darkened visual palettes, war aesthetic, and an urgent sense of ‘us vs. ‘them,’ with the “them” portrayed as a particularly cold or otherwise brainless swarm of villains. The ultimate evil doers have no conscience, no concern for humanity, and become the perfect enemy. A particularly worrisome trend in recent films is how images of actual war or catastrophes have become trivialized, if one were to channel Slavoj Zizek, as a means of creating a fantasy image for coping, or turning real tragedy to fantasy in order to process it. Escapist films of yesteryear may release us from our worries. Contemporary escapist films are there to justify it, to fetishize it, and confirm the Mean World Syndrome; the notion that the world is actually a darker place than it really is. Is it any wonder that since September 11, 2001, we have witnessed so many blockbusters that contain image after image of falling skyscrapers, shattering glass, attacks on cities that no longer evoke a fantastic landscape (as it was in the Burton Batman films), but in a world that very much looks like our own world? While turning culture into commodity is not a recent practice (indeed, look at the atomic age films of the 1950s that connect to fears surrounding the Space Age and the Cold War), that we have seen the ante upped from the third Transformers film, to the new Star Trek film, and now The Man of Steel is a trend that may not run its course anytime soon. Indeed, the question of how the heroes will process the devastation is ultimately the big payoff, once the dust has settled on the city’s remnants. A point of comparison resides with The Man of Steel and Star Trek: Into Darkness. The Man of Steel ends with a full blown terrorist attack. Zod is the literal alien attacking two distinct arenas of Americana–‘main street (Smallville)’ and ‘Wall Street’ (at times it looks like the entirety of Metropolis) crumble, explode, fall, and are ultimately devastated through his direct and relentless attacks. The rationale behind his destruction is a bit one dimensional—we’re given some, but not all, of the exposition as doing so would require less time showing buildings fall, explode, concave, topple, and more time developing (truly developing) Zod as destroyer—but no matter. The film does not stop there. Remember Superman is an American hero. Our fictional Moses. Depending upon the iteration, he stands for Truth and Justice (Fleischer cartoons), Truth, Justice, and Tolerance (Kirk Allyn serials), Truth, Justice, and the American Way (George Reeves’ iteration—though the ‘American Way’ is never clearly defined), and ‘Truth, Justice…and that kind of stuff” (Tom Welling, Smallville). What is instructive in this film is not only the scale and scope of destruction , as if hundreds of 9-11’s occurred simultaneously, but how Superman has to handle the terrorist Zod. I suppose I should give a spoiler warning here, but odds are, you have seen the film and/or the reviews, and are therefore will not become nonplussed by my revealing the end of the film. I’m doing so in the next sentence. Superman ends Zod. Not just ends him. Takes Zod’s head in his hands, and snaps Zod’s neck. True, the Superman character in the film was given little choice, though the writers clearly put Superman in that position to create a conversation about the ethics and morality of killing the enemy. The difficulty here is that the conversation is ultimately one-sided—Superman killed Zod as that’s what we must do with our enemies. There can be no mercy when dealing with the animal/aliens, no due process, as that is no longer what we understand the ‘American Way’ to mean. Superman gives a quick remorseful response once the deed is done, but then it’s time to move on and set things up for a sequel. The hero-killing-the-villain-at-the-end is nothing new—witness nearly any blockbuster film of the last forty years, and part of what the audience is paying for, is the pay off. Good must triumph, evil must face defeat—and there is no greater defeat in movies than death. That said, there has been notable attention to Superman’s acts at the film’s climax. Mark Waid, writer of Birthright –a recent retelling of Superman’s origin, took to the blogosphere to register his complaints. There are several. First, he is disappointed that Superman pulls the action into Metropolis as opposed to the middle of the ocean or the middle of a cornfield as that would lessen the casualties; though this would mean cutting back on the special effects. The second is that Superman does not seem too concerned with truly saving the population. By comparison see how The Avengers kept the devastation to a few blocks, while also assigning Captain America the responsibility of working with law enforcement to save civilians and minimize harm. True, The Avengers operate as a team, and Superman is merely one no-mere mortal, but that’s the point. Superman is, well, Superman, the original contemporary superhero, and one who could easily have dispelled the alien invasion during the Avenger’s third act well before Tony Stark could finish a cocktail and suit up. Waid’s second and more severe level of outrage comes from the neck snap. Superman, in the comics, does not kill….asterisk. A recent EW article by Darren Franich pointed to the ‘what if’ story by Alan Moore, Whatever Happened to the Man of Tomorrow, where Superman makes the decision to kill a powerful being he cannot get under control. After committing the act, he laments “Nobody has the right to kill. Especially not Superman.” He then exposes himself to gold kryptonite and ends his powers. A post-Byrne comic shows Superman killing Zod and his minions. The story is quite controversial even to this day, and shortly after that event (and after the Invasion series of the late 80s/early 90s) Superman exiles himself to space, haunted by his actions. But the writers in both cases have 50 years of storytelling to work up to this moment—the what if the Man of Tomorrow had to kill. Killing right off the bat is another story. It tells us something a bit more crucial; that the American Way means we do not negotiate with terrorists. We end them. End of story. Truth be told the imagery and the handling of the terrorist Zod are not solely the result of a post-9/11 need to turn our tragedy into a cinematic fetish. There is an adjacent root to consider. Inter-textual media influences are not necessarily new, or unique to one medium. Film have influenced television, video games have now influenced films, etc. Much of the graphic rendering present in recent tent-pole productions capitalize on the stylized violence and demolition available in modern-day video games. Arkham City, and Injustice: Gods Among Us are two examples. These games have a higher expectation for the violence and despair, even when dealing with Superman. Christopher Reeve’s Superman would not work for this audience, neither would the Superman as presented in The Adventures of Superman, Lois and Clark, or even Smallville for that matter. The hero has to be pushed to and then beyond his limits, no matter what they are in order to gain and keep this audience’s attention. Star Trek: Into Darkness (which is admittedly short changed in this posting), gives the audience the other side of the dialogue. The film boasts the same kind of imagery as witnessed in The Man of Steel: federation buildings topple, there is an attack by an outsider, and so forth, but at the film’s end Kirk is given a decision. They could kill the villain and his ilk, or they could put them into deep-freeze as a kind of imprisonment. Kirk chooses the latter. During the film’s coda he stands before the resurrected buildings “one year after the attack” and justifies the decision not to kill the baddie. The scene evokes the commemoration of the 9/11 attacks, but then goes a step further. Kirk tells us that we did not execute the villains, as that is not who we are. That is not who we are looking to become. This message is further cemented by a title card, which dedicates the film to the heroes battling terror around the globe. The third act show-downs in both films gives the audience a choice as to where to take our culture next: does The American Way mean due process as it is evidenced in Star Trek, or a more severe approach in dispensing justice as it is evidenced in The Man of Steel? Does the title card in Star Trek serve as a reminder of due process, or is it an apology by the filmmaker’s for their decision not to kill off the antagonist at the film’s end? Or will these themes that beg for exploration be put aside to allow an even larger building to fall? What do you think about the ending to Man of Steel and Star Trek Into Darkness? Sound off and let us know your thoughts! Gregory Bray, Ph.D. is an Assistant Professor in Digital Media Production at the State University of New York New Paltz. He is an award winning documentary filmmaker, published scholar, media educator, and holds his Ph.D. from the European Graduate School, Saas-Fee Switzerland. He is married to artist Nadine May Lewis, and they reside with their children Eamon and Nora in Ulster County, NY. Very excellent review of Man of Steel. I knew there was something that just didn’t feel right, despite the almost breathtaking visuals. Superman’s origin, powers and abilities were a load to try and tell all in a single film, but I think Snyder pulled it off. Unfortunately, he painted a rather bleak picture of the mightiest hero of them all – far too many innocent people died. It felt like an empty victory, almost.